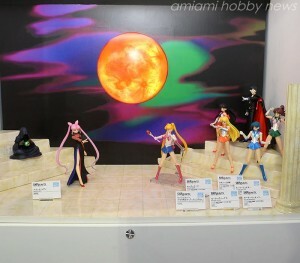 A few great PROPLICA toys from Sailor Moon S are being released by Bandai. Sailor Moon’s Holy Grail, used to transform into Super Sailor Moon, will be released in February and the Cosmic Moon Compact will be released in May. 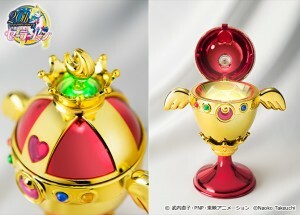 For whatever reason Bandai refers to the Holy Grail as the Rainbow Moon Chalice. 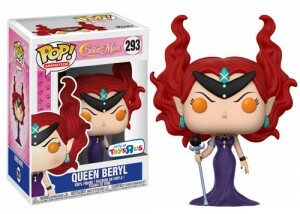 They used that name when the first toy was released in the 90s and they are using that name again, even though this item was only ever referred to as the Holy Grail in the Sailor Moon manga and anime. It makes sound and light, as can be seen in the promotional video below which has the voice of Kotono Mitsuishi, who plays Usagi, saying “Crisis Make Up” while the Holy Grail shines in a number of colours. Watch a video below of the Holy Grail. 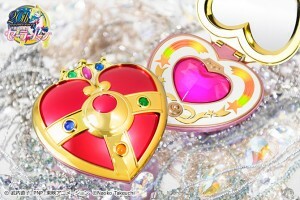 The Cosmic Moon Compact is the transformation item used by Sailor Moon in Sailor Moon S and the Infinity arc of the manga. It opens to reveal a heart shaped crystal which makes plays the music of Sailor Moon’s third transformation, while the crystal blinks. This toy once again uses the voice of Kotono Mitsuishi. You can watch a video of this below. A Spiral Heart Moon Rod PROPLICA item was previously announced. It is released this month. I just never got around to posting about it. PROPLICA items are high quality but they aren’t cheap. These replicas are perfectly to scale and look just like you’d imagine these items to look like in the real world. The Holy Grail will cost 10,800 yen, which is about $90 US. The Cosmic Moon Compact will cost 6500 yen, which is about $63 US. 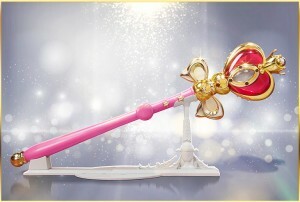 The Spiral Heart Moon Rod costs 11,880 yen, about $96 US. 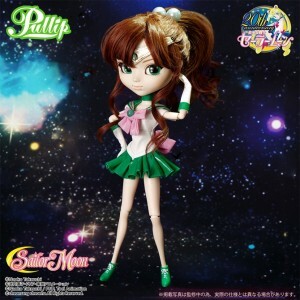 The Sailor Jupiter Pullip doll has been revealed on the Sailor Moon official site. The doll follows Sailor Moon, Mercury, Mars, Venus and Princess Serenity which have already been released. Why do we keep getting Sailor Venus products before Sailor Jupiter products despite Sailor Jupiter being the first to appear in the manga and anime? Not sure. Maybe it has something to do with Sailor V or character popularity. Pullip dolls are high quality oddly proportioned dolls with large heads and eyes. This one will retail for 16,000 yen, about $135 US. It’s expected to sell for the same amount as the dolls which have already been released. The Bandai Premium exclusive version will be more expensive and, based on the other releases, will likely come with Makoto’s school uniform. We’ll share photos of that exclusive once they are revealed. Support the site by taking out a bank loan and buying Pullip dolls from the links below. 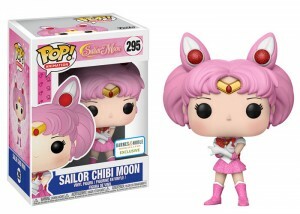 The latest Sailor Moon Pullip doll has been announced. 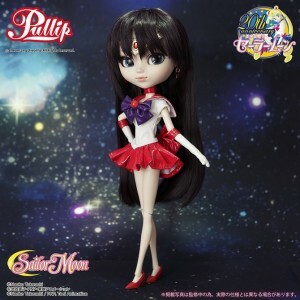 Next in this line of dolls is Sailor Mars! 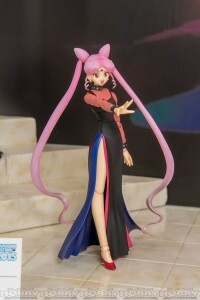 Previously released were Sailor Moon, Mercury and Venus and Princess Serenity. Sailor Mercury and Venus both included civilian school uniforms as their Bandai exclusive bonus. No specifics have been announced about Sailor Mars but it would make sense that she would also come with a school uniform when ordered from Premium Bandai. Sailor Moon came with Luna but as Sailor Venus did not come with Artemis it seems unlikely that Phobos and Deimos will be included as exclusive bonuses. Pullip dolls are high quality very expensive dolls with disproportionally large heads and eyes. Though there is no specific release date or price noted at this time, it can be expected to sell for $150 for the regular version and $180 for the Premium Bandai exclusive version. 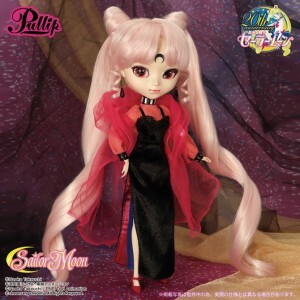 Buy or preorder other Sailor Moon Pullip dolls using the links below to support the site. 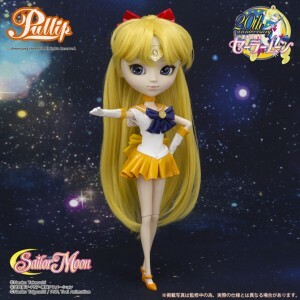 Yet another Sailor Moon Pullip doll has been announced on the official Sailor Moon site. 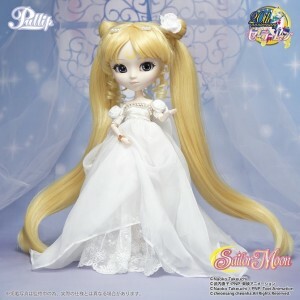 This doll is Princess Serenity, Usagi’s past self from her days in Silver Millennium, the Kingdom on the Moon. Princess Serenity joins the growing collection of dolls which now also includes Sailor Moon, Mercury and Venus. 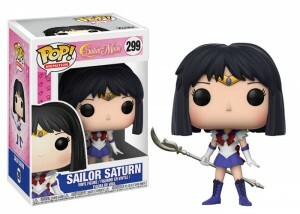 Still no indication as to when Sailor Mars and Jupiter will be released. Pullip dolls are high quality somewhat realistic and somewhat creepy dolls with disproportionally large heads and facial features. While no price is listed on the site this doll is expected to sell for about $150 US with a special Bandai exclusive edition selling for close to $180. The exclusive Sailor Moon came with Luna, Sailor Mercury came with Ami’s school uniform and Sailor Venus came with Minako’s school uniform. 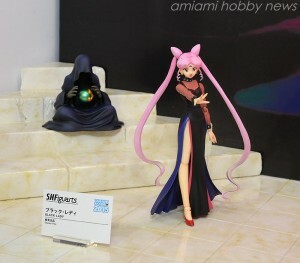 What do you think the Bandai exclusive Princess Serenity will come with? 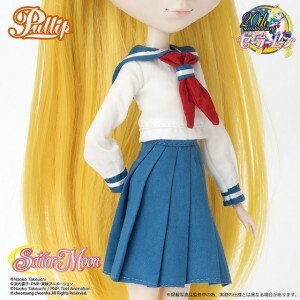 We’ve got a better look at the upcoming Sailor Venus Pullip doll including the exclusive Minako’s school uniform which you can get if you pre-order the doll form Premium Bandai. How much will that cost? An affortable 20,520 yen or $190 US dollars! Ordering from Japan can be complicated but Sailor Moon Collectibles has put together a guide to ordering from Premium Bandai. More images of the Pullip doll and her uniform have been added to the official Sailor Moon site and Premium Bandai listing for the doll. Pullip dolls are high quality ultra expensive dolls with disproportionally large heads and eyes. Still no word on Sailor Mars. Also check out a better look at the Sailor Venus outfit. The first image of the upcoming Sailor Venus Pullip doll was released on the Sailor Moon official site which prompts us all to ask “Where is Sailor Mars?”. 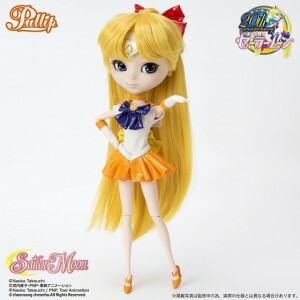 Sailor Venus is the fifth Sailor Guardian to appear yet she’s the third Pullip released! Sailor Moon was released in July and Sailor Mercury will be released in October. Sailor Venus will be shown at a Doll Show coming up on Monday September 15th. Pullip dolls are highly detailed collectible somewhat creepy dolls with disproportionately large heads. 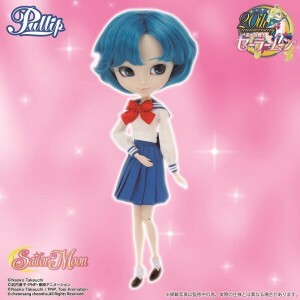 For those looking for the Sailor Mercury doll they can pre-order it from Premium Bandai to get an exclusive school uniform. The normal version is 16,000 yen (about $150 US) while the exclusive version is 19,000 yen (about $178 US). The exclusive for Sailor Moon was Luna. 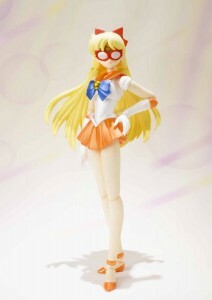 Perhaps the exclusive for Sailor Venus will be Artemis! No specific release date or pricing has been announced for Sailor Venus but she will likely be sold for the same as Sailor Moon and Mercury. 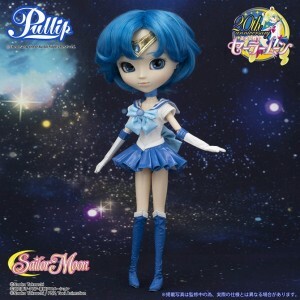 A Sailor Mercury Pullip doll has been announced on the Sailor Moon official site. This is the second Pullip doll to be announced after the Sailor Moon doll which we have posted about a few times already and was released last month. Pullip dolls are high quality collector’s dolls that are occasionally made for 3rd party franchises, like this one. 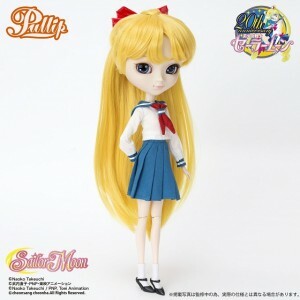 The Sailor Moon Pullip doll is selling for around $170 so the same can be expected for Sailor Mercury. We don’t really know any details about this doll that we don’t already know about the Sailor Moon doll. It will be 12″ tall with a big head, high quality clothes, tiara and accessories. Start saving now if this is something you’re interested in! 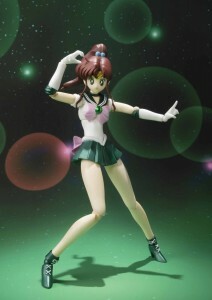 Bandai’s Sailor Jupiter S. H. Figuarts figure is now available for pre-oder at Amazon.com! It will be released on August 28th in North America. Can’t wait that long? You can import Sailor Jupiter from Japan from JList, CD Japan or YesAsia for a July 19th release. The rest of the S. H. Figuarts figures are also available on Amazon.com. Sailor Moon, Mercury and Mars are already out. Sailor Venus will be released at Amazon.com on May 21st. You can also get Sailor Venus a bit earlier from Japan on April 30th from JList, CD Japan and YesAsia.